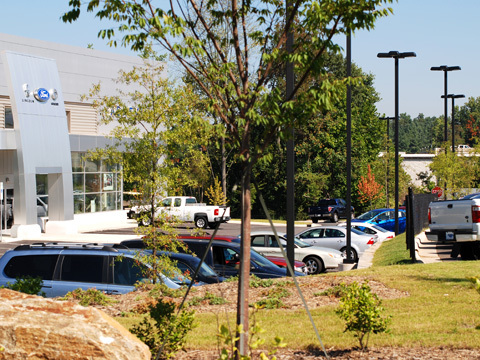 BEA provided surveying and site engineering for the Ford Dealership and Service Center on two land parcels. Project required surveying services for topographical, boundary, platting, construction staking, and as-built survey. Engineering services include site layout, stormwater, erosion control, grading, and water/sewer utilities. Project required extensive stormwater management system including the first permitted mechanical total suspended solids(TSS) removal device in the City of Asheville and a large underground detention system.